This week, Bill Gates announced his commitment to the Alzheimer’s cause. The Alzheimer’s Association welcomes him and applauds his efforts to seek an end to Alzheimer’s, which he details in the piece titled Why I’m Digging Deep into Alzheimer’s." As he notes, more people are living longer than ever before and discoveries in science mean that less people die young from heart disease, cancer and infectious disease, allowing for longer lives. However, along with increased age comes a greater risk of developing Alzheimer’s, a disease that is not normal aging and is ultimately fatal. Gates acknowledges that in addition to the staggering economic costs, emotional costs also run very high for families affected by this devastating disease. Sharing personal insight into his own family experience is brave and advances the public conversation about Alzheimer’s disease and dementia. Those who have experienced this disease firsthand, like Gates, know the enormous impact it has on individuals and families creating, as he says, a ripple effect that is unmatched by other health conditions. Data reported annually in the Alzheimer’s Association Fact and Figures report illustrate the impact: More than 5 million Americans are living with Alzheimer’s and they are cared for by over 15 million family caregivers. In addition, dementia creates a staggering financial burden. Those who have dementia spend five times more annually on out-of-pocket health expenses than those who don’t have Alzheimer’s, and the disease accounts for direct American health care costs of $259 billion in 2017, with projected growth to $1.1 trillion in 2050. Gates has invested a great deal of time to better understand the full scope of the disease and how he can play a significant role in accelerating progress. The Alzheimer’s Association commends Bill Gates for digging in and joining the cause. In his letter, Gates describes how he will address this issue using a multidimensional approach. This is crucial. We are learning how the brain changes throughout life and are beginning to identify those abnormal changes early, even before symptoms occur. We also know that given the complexity of the brain, that multiple approaches to combating Alzheimer’s, including lifestyle and drug interventions, are necessary to slow and ultimately stop the disease. This will require more public and private funding, more clinical trial participants and more data sharing to push progress forward faster. 3	Large-scale early detection efforts such as the World Wide Alzheimer’s Disease Neuroimaging Initiative (WW-ADNI) and Imaging Dementia — Evidence for Amyloid Scanning (IDEAS) study. While these are just a few examples of the Association’s efforts to accelerate progress, the Alzheimer’s cause still needs much more. To that end, the Association is leading the way to increase the nation’s federal commitment to Alzheimer’s disease research. 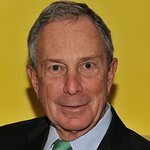 As a result, in the last five years, Alzheimer’s research funding at the National Institutes of Health has nearly tripled — and yet, this amount is still not sufficient to create the progress needed to achieve the bipartisan, federal commitment to prevent and effectively treat Alzheimer’s by 2025. Nonetheless, thanks to all of the contributions of all of the dedicated people working to defeat Alzheimer’s, the Alzheimer’s Association is confident that together we will succeed. 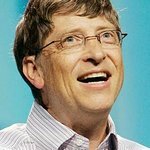 Having Bill Gates declare his dedication to making an impact on accelerating progress is great for the cause.